Step into a whole body °cryothérapie open-air chamber for just a few minutes, and walk away feeling refreshed, energized, and balanced. As a leader in innovative mind-body solutions, Karen French, DC, CAc, of French Med Spa, offers °cryothérapie sessions to replenish your system and restore your health. Book your °cryothérapie session at this luxurious St. Charles, Illinois, medical spa by requesting an appointment online or over the phone. °Cryothérapie involves exposing your entire body to temperatures of -272° F for up to about three minutes. Using an open-chamber nitrogen gas-cooled system, your body quickly recognizes the quick drop in temperature and responds by contracting blood vessels. Blood starts moving away from your extremities and into your core, where all of your vital organs are located. This change in blood flow allows your body to detox and flush away toxins through your kidneys and lymphatic system while filling your blood full of oxygen. As soon as your °cryothérapie session is complete, your body immediately starts to warm back up. All of that oxygen-rich blood circulates back to the surface of your skin and extremities. Muscles and skin are fully enriched with purified blood, and your body releases endorphins to promote an optimal state of wellbeing. How can °cryothérapie help me? °Cryothérapie is known for improving your energy levels and shortening your recovery time after sporting events and training. Plus, °cryothérapie can even boost your metabolism and burn up to 600-800 calories in a single session. What happens during a °cryothérapie session? °Cryothérapie sessions at French Med Spa are entirely luxurious and relaxing. After slipping into your thermal socks, thermal hand liners, protective outerwear, spa slippers, and robe, you’re guided into your open-air °cryothérapie chamber. You get to relax and unwind for up to three minutes during your °cryothérapie session. With no downtime needed after °cryothérapie, you instantly feel invigorated and can return to all of your normal activities. For optimal results and continuing benefits, it’s best to come to French Med Spa a minimum of two to three times per week for °cryothérapie visits. With plenty of °cryothérapie membership packages available, you can come in as frequently as you need. 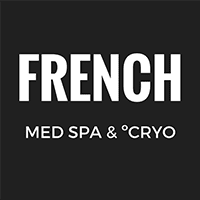 Schedule your °cryothérapie appointment at French Med Spa today. 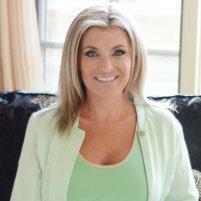 Click on the online scheduler, or call the medical spa directly.